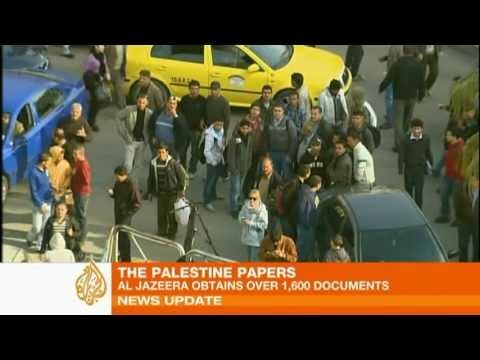 Aljazeera reports on how Palestinians in the West Bank town of Ramallah were so angered at the allegations against the Palestine Liberation Organization leadership in the leaked documents published at the Qatari news organization’s site that they tried to invade the Aljazeera offices in that city. They accused Aljazeera of lying about their leaders. The site points out that if the Palestinian populace is so angered by the idea that their leadership was willing, e.g., to give away most of East Jerusalem, then the Palestine Authority (PA) leadership was derelict in preparing their constituents for these concessions, which it was in fact making. The Muslim fundamentalist party Hamas in Gaza demanded that PA president Mahmoud Abbas be deposed and put on trial for betraying the interests of the Palestinian people by the magnitude of the concessions he offered the Israelis. The leaks have the effect of undermining the secular, nationalist PLO with regard to Hamas. Meanwhile, the leaked documents also show that the Obama administration insisted on keeping the Fatah faction of Abbas in power in the West Bank, long after its electoral mandate had expired. Washington in public maintained that the Palestinians were free to choose their leadership.